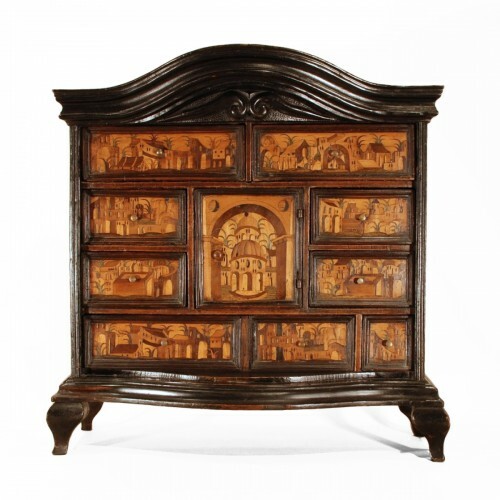 AnticStore > Catalogue > Furniture > Cabinet > Louis XIV > 17th century > Collector's cabinet in ebony & pietra dura. Italy. 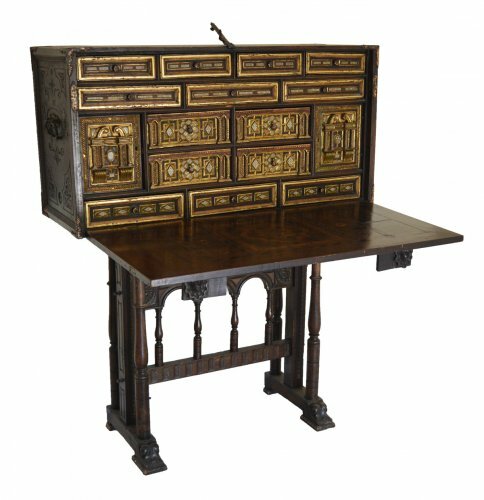 Late 17th C.
A fine collector's cabinet in ebony veneer on a pine carcass, consisting of a large bottom drawer, a lockable top compartment and a double door with small ripple moulded frames on the inside and outside, revealing a series of 8 drawers decorated with blue marble panels and tiny ivory knobs. 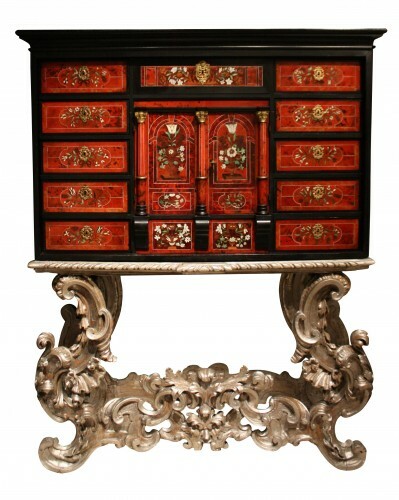 The central drawer with a "pietra dura" panel depicting a single flower with pink petals and green leafs on a black slate background surrounded by a fine border in lapis lazuli. 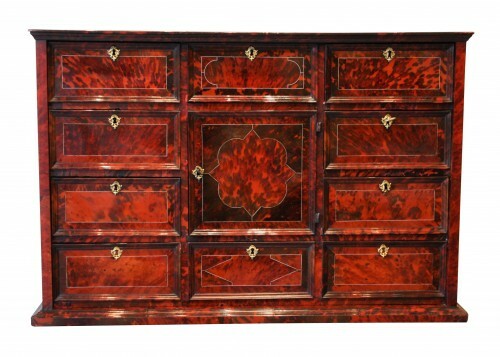 The insides of each drawer are covered in the original marbled paper.